It was a sunny morning when we launched. 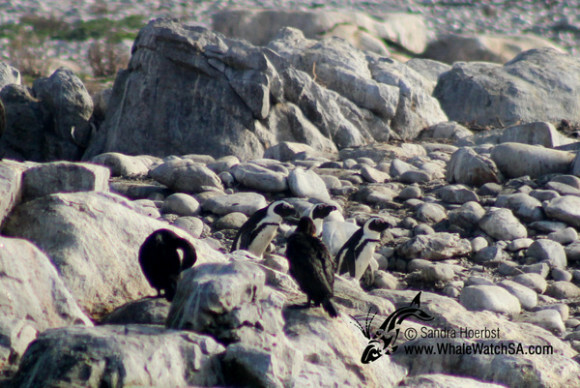 We were heading along our beautiful coastline towards the shark cage diving vessels. Just before we got there mist came up and we could only see a few meters, but luckly these days all boats have a navigation system. 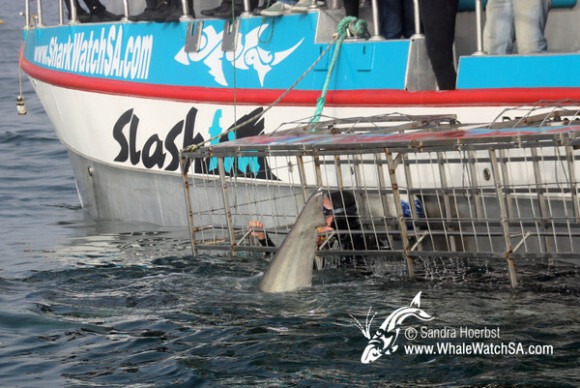 So we managed to find our sister company and to see a Great White shark. Arrived at Dyer Island we saw a few African penguins. 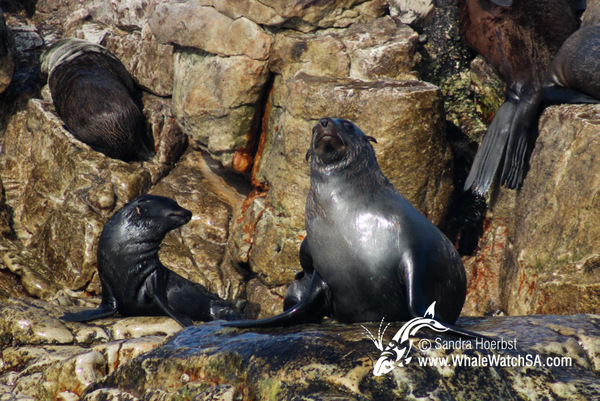 The Cape Fur seals on Geyser Rock were quite lazy today, just laying around and only a few were playing in the famous water of Shark Alley. 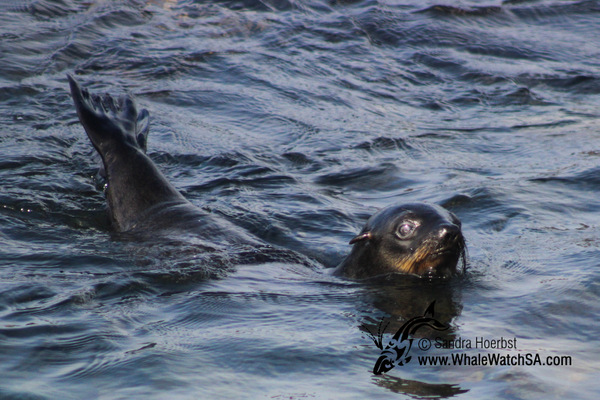 We then were heading into deeper water to see what we can find. 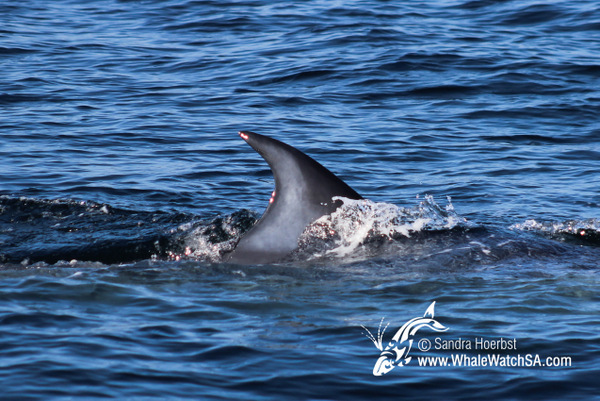 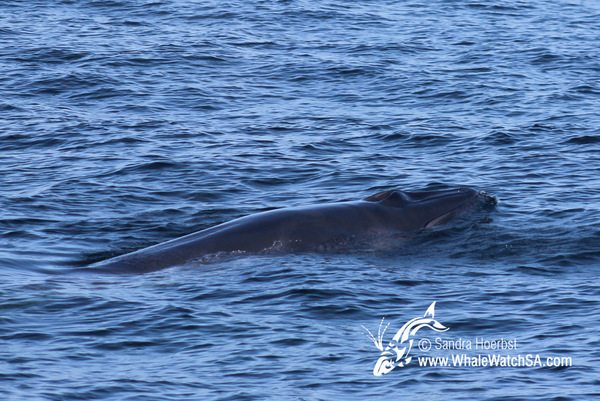 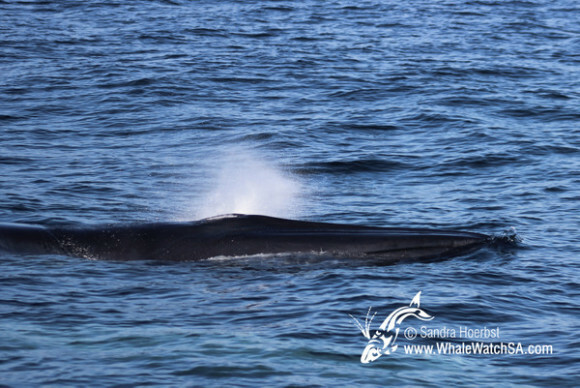 We were lucky and spotted a Bryde’s whale with her calf. They were traveling alongside our vessel for a while before heading into another direction.